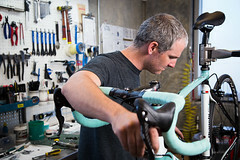 We’re nearing the second anniversary of the acquisition of Competitive Cyclist by Backcountry.com. Much of our motivation to join forces with Backcountry came from our desire to boost the end-to-end customer experience. Back in Little Rock we were scrappy as hell and we did incredible things despite our small size and e-Commerce naïveté. But what we had in passion, we lacked in experience and resources. Fast-tracking our e-Commerce fundamentals was the biggest win we achieved under the Backcountry umbrella. Post-acquisition, pieces of progress came in several areas. For example, Backcountry’s financial backing finally gave us the wherewithal to ramp up inventory levels. Our average inventory position in 2013 is nearly seven times what we had back in Little Rock. 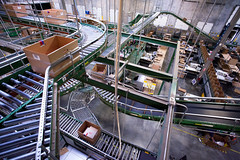 We’ve also increased our fulfillment and customer service resources. Nowadays we have 25 mechanics and staff in our bike building operation, three times what we had in Little Rock. That translates into quicker bike builds and delivery times, with an average wait from order-to-shipment of less than two days. Similarly, our customer service team is well over 20-strong. We answer the phones and chat 16 hours a day, a big improvement over the 10 hour range we had in Little Rock. And given that we’re so well staffed, our response time to email is faster than ever. Likewise, the overall look and feel of our website has gone largely unchanged since the retirement of Jan Ullrich. The design was the brainchild of two parties: Yours truly and the remarkable Hinshaw Design Group. It was our most productive partnership with a third-party vendor. We shared a design-first mentality, leading to a site perfectly suited for our brand, our long form product copy and our lovely photography. But e-Commerce changed like 500 times since the decline and fall of Der Kaiser. Design can’t stand above all, particularly with 2013’s considerably elevated expectations for navigation, search and structured product data. Site design and content quality are still foremost to our experience, but they now have to share the stage. Which brings us to the all-new Competitive Cyclist website. It went live in the early hours of August 13 after 18 months of heavy planning and stellar execution by a huge team. Two people in particular get above-and-beyond props. Noah Singer acted as the QB of everything related to the new site — its vision, its execution, and carrying the brand forward from one generation to the next. If they ever made a Silicon Valley Duathlon — time trialing + product management — the only person who could top him is Dylan Casey. Given that Noah’s first job was fetching us Dr. Peppers when he was 13 years old, he’s come an unimaginably long way. And another Competitive veteran, Drew Medlock, worked superhuman hours over the last year in taking the full reins of our P&L while simultaneously serving as Noah’s kemosabe ensuring that the new site’s design vision translated into customer-facing reality. Noah, Drew — you guys are the stars. Updated look The site is optimized for our most popular screen resolutions. The text is larger and every detail, including line height on product copy, was reconsidered. 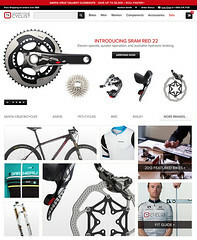 You can easily scroll through larger images for all products, not just bikes. We’ll soon include technical specifications for a quick snapshot of nearly every item. Sale pricing is more clearly communicated, and will continue to be improved. 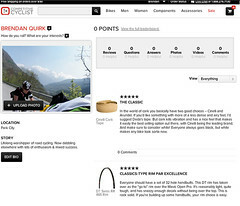 Shop by activity Now you’ll be able to shop bikes by activity (Road/MTB/Tri/CX), and choose if you want to start with a pre-configured bike or a custom build of your very own. And you’ll be able to shop for apparel by activity as well. 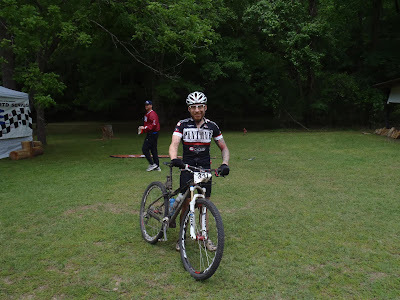 Bid farewell to the days of seeing mountain bike baggy shorts mixed in with Assos bibs. And soon we’ll do this for components too. Introducing community reviews and profiles Create a community profile and provide feedback for items you’ve bought or read feedback on purchases you’re contemplating. While we’ve always done our best in offering the web’s best content on bike stuff, it’s impossible to be as prolific and expert as the collective wisdom of our customer base. 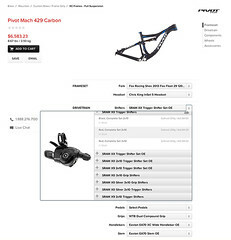 Improved search When you use on-site search, we now show larger images and more products. We’re using an Apache Solr platform, which will lead to significantly more relevant search results, along with other niceities such as auto-complete and the ability to filter results by size, price, color, type, community rating and percent off. Improved checkout with saved credit cards Our cart and checkout have become faster, simpler and arguably more logical. Moreover, we securely save your credit card info to further increase the speed and simplicity of checkout. Improved Order History This is one of our most dramatic improvements. You can see the items you’ve ordered, process a return and leave reviews, all from the order history page. Improved Kit Calculator We’re making huge steps forward in preventing you from configuring an incompatible bike. This is a big area of iteration for us now that the new site is live. Soon all of the old Kit Calc’s old idiosyncrasies will vanish. This will include things like allowing you to add tubular tires to a clincher wheelset. Your suspension fork will always be the right amount of travel for your frame. Another bonus is the ability to see photos of components with a short description too. 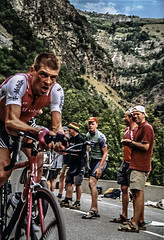 Improved Fit Calculator The most popular section of Competitive Cyclist is now faster to use and the results are easier to understand. Inventory transparency Inventory status messaging is much clearer on product pages and during checkout so you’ll know exactly when your item will ship. We offer the ability to pre-order yet-to-be-released products, or reserve an item that has run out of stock. We also tell your every time an item is in stock and ready to ship out today. While our new site offers vast improvements, we know it’s anything but perfect. You’ll see a small orange triangle in the bottom right of each page. Please use this to provide feedback of any form — props, bugs, feature requests, or anything else that comes to mind. We’d love to hear details.